Well, the de-lousing of the craftin' spot is well under way....about time....my supplies are all over the place, but I did just get a fabulous package in the mail this week from Papertrey Ink. It was very exciting to get new craftin' supplies. I will have some other things that I no longer use up for sale in the next weeks, so keep an eye out for them. I'll list them here first before I put them on Ebay. With that being said, I did not have the foresight to make my card for this week's Green Challenge at Our Creative Corner before Wednesday when I got started. 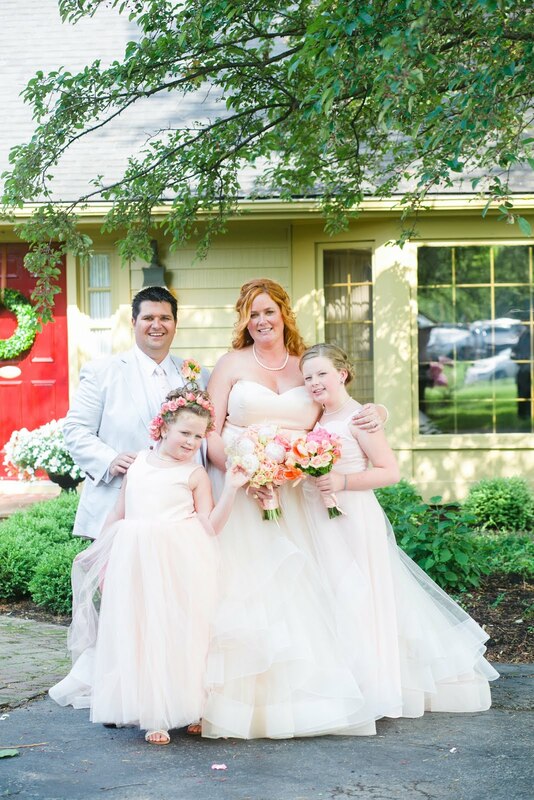 The challenge this week is hosted by Marcy Kaminski. Her theme is "How Green is Your Spring" Inspiration Photo. I LOVE this montage - it's chock full of inspiration. 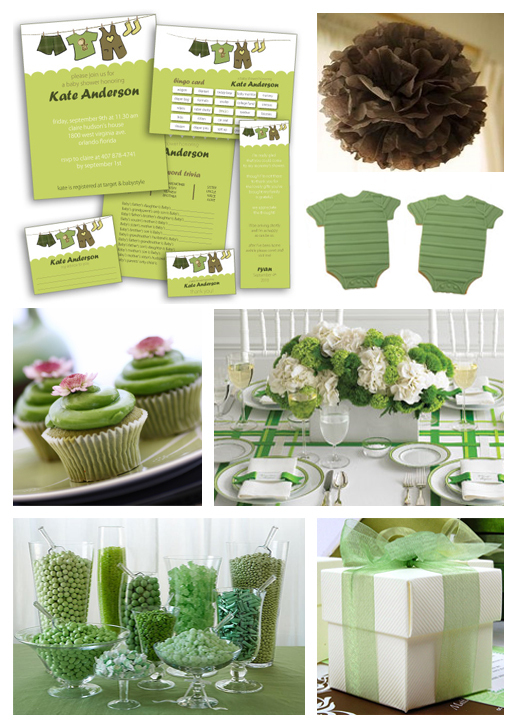 Show us Spring in its full splendor, using GREEN as your main color! SO, my card is made with things I could find and get my little hands on. Adhesive was an issue, as was ink, hence no use of stamps. I did however have access to my minimal scrapbooking supplies and spray inks, so I used some of those things to whip up a simple card for the hubs. I used the circle candies in the bottom left photo as my inspiration. The photo I used is a real oldie - it's from our very first trip to Disney World as a couple, over 13 years ago....whoa, look at that hair.... His dad said he could tell from this photo that Rob was in love with me because in all the years of visiting the Magic Kingdom, Rob NEVER wore Mickey ears....let alone get his photo taken wearing them....and he wore them all day for me. *awww* He's not a silly kind of guy, so for him to let his guard down was a big sign of things to come! 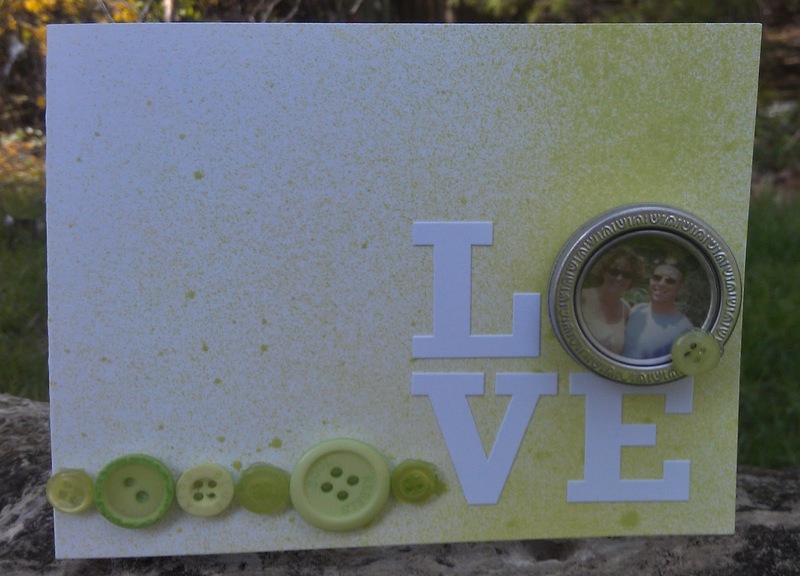 Love the the way you applied your Buttons on the card as a embellishment, and your splattering of green, very clever, great card. You couldn't tell that you had a limit of supplies. I think your card is fabulously CAS! I love how you used a photo & frame to create the 'O' in your word. Great idea! 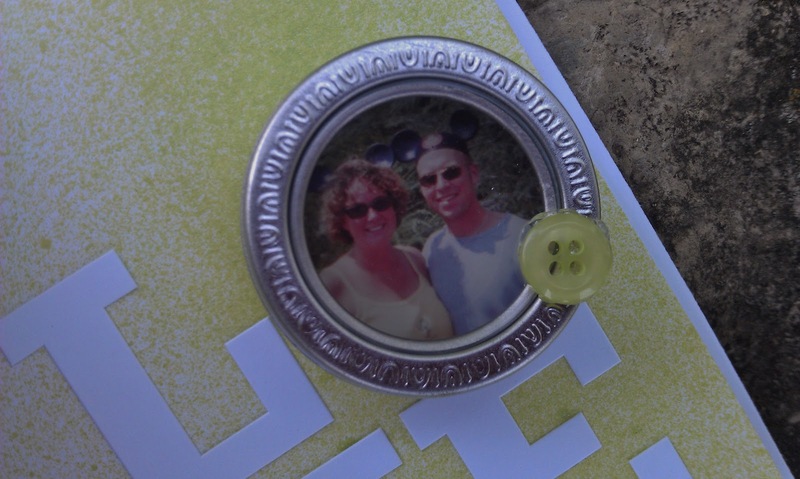 and the buttons add both texture and visual interest! Great card! What a great card Kristen ... I loooove that spritz effect and the buttons are super ... but that picture ... *aww* ... loooove the ears ... what a lovely treasure!!! Love your speckledy specks!!! That picture is great and really makes this card wonderful and sentimental! Love the row of buttons. Feel free to keep on giving me tips...I need them, and I had no idea until you told me. Thanks! India - Here she comes!